The passion and ability to follow through with your dream in the outdoors; I call this the Hunter’s Flame. The desire for education is right where the embers of a true hunter lay. If you are taking the time to read through this, chances are that you have that burning desire to learn more. But do you have the passion to actually call it a flame? Or is hunting a nostalgic past time and good excuse to get off of work? Let’s say that you do have the hunter’s flame, how can you come to recognize it for what it truly is to you? This is a gift, but what good is it if you cannot access a talent or even worse, you never recognized you were even gifted? The ability you have to track down and harvest that dream buck slowly becomes only a dream, because you never took inventory of your capabilities and short comings. Take this time to not only read, but to reflect on where you are in your journey to be the hunter you have always envisioned. To do this, you will need to ask yourself the questions proposed in this article and be serious enough to think about the answer. Well, enough of the deep stuff, let’s get down to what makes the red blooded American tick: Hunting! 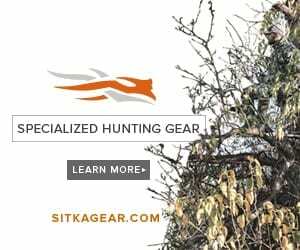 For some of us, hunting is not just a past time, but the remaining root connecting us to our ancestors. When we get in the woods, we aren’t wooed by the pretty landscape; we are in tune with the shift of the wind and brought to attention with even the slightest sound coming from our surroundings. Not missing the beauty, but experiencing it. If you were able to see and hear the vision just mentioned, then you know what it means to have the hunter’s flame. You have what is called intrinsic motivation, which is the motivation inside a person to accomplish a goal. Most people now-a-days seek out extrinsic motivation, the motivation from an outside source, such as a picture of them on Facebook holding that monster whitetail. The fire it takes to be the great hunter is not inside this person, it is distant and only fantasized about when looking at pictures of other men and women who are successful in their pursuits. So what does it take to harness this fire and let it develop into the character trait of who you are? It starts with a pen and paper. There is a blueprint phase to any project, this one is no different. If now is your time, you must be willing to sit down and write out the goals that you wish to accomplish in this field. Your goals are a reflection of what you really want, your Passions! Be specific in writing these out, keep in mind what you want out of your hunting career and be Specific! Being general will only keep you in “wishing mode”. Now that you homed in on what you want, it is time to realize what you are good at. This is where the internal inventory happens. Nothing is worse than taking the time to set up that treestand in the perfect spot only to realize that you hate sitting. Trust me, I’ve been there as a young man. So why would I plan a hunting trip that required me to sit hours on end? I know I’m not wired to sit all day, so I plan on setting myself up for success by capitalizing on my strengths. List out a few hunting skills that you know come naturally to you and then mesh them together with your goals. You have now created an intersection of what your good at and what you want! This is where progress begins; this is the start of a roaring fire that I call the Hunter’s Flame.